Courtney has contributed to a variety of television, print and web projects. Through her work, she aims to take the jargon out of psychology, and deliver clear messages to her audience. Please contact Courtney if you would like to speak to her regarding a contribution to a print, web, radio or television project. 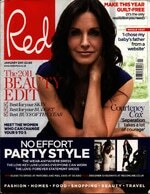 Courtney was also quoted in an article on eating disorders in the January 2011 issue of Red Magazine. 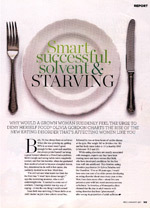 Read Courtney’s contribution to the Telegraph Article: Generation depression: British women are more unhappy than ever. Read Courtney’s advice on de-stressing before your wedding.